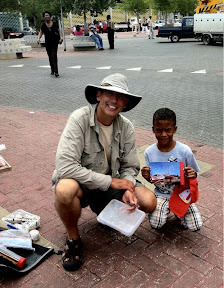 Here is a 7 minute video of my recent painting trip to Curacao for you all to enjoy. The background music is by Oswin Chin Behilia, who is singing "Curacao di nos e ta", which literally translates to "Curacao is Ours". As soon as I receive pictures from the group photographer I will post my paintings for you to see. Beautiful!!! A painting every where you look. Thanks for sharing.